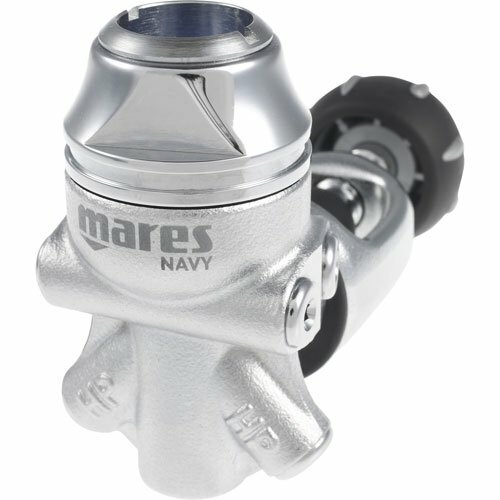 The new Abyss 22 Navy is the Mares answer for your challenge in every condition. 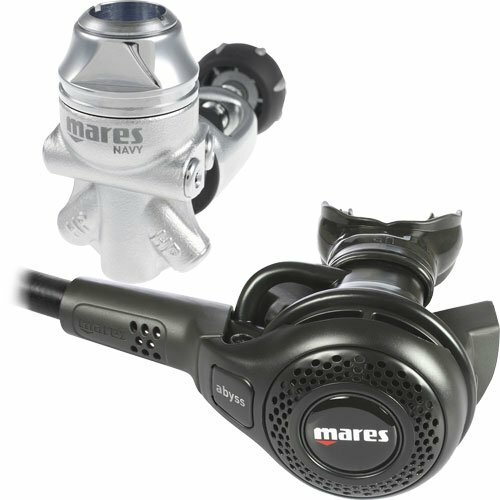 With careful analysis and evaluation of what happens in cold water, Mares has designed an exclusive product accurately studied to guarantee top performance and reliability under the toughest conditions, including diving under the ice. 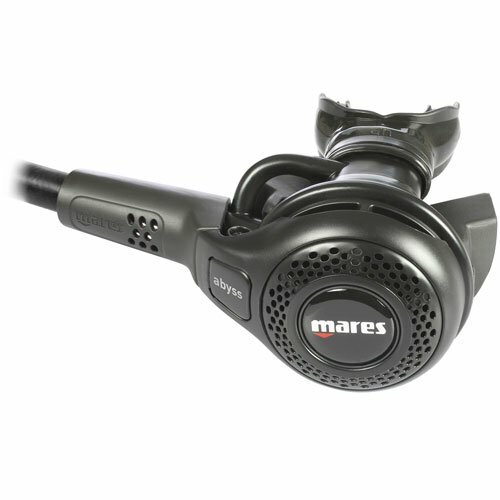 The all chrome plated marine brass first stage レギュレータ is a balanced diaphragm design which is environmentally sealed. The diaphragm membrane transmits the pressure changes to the internal mechanism eliminating the need for the surrounding water to enter the intricate mechanism. The benefit of this type of first stage design is that none of the internal parts are exposed to contaminants such as salt, sand, chlorine or pool acids. These environmental contaminants cause corrosion and mineral deposits to form on the internal mechanism deteriorating レギュレータ performance.